Please type your desired tags, e.g. Theoretical, Physical or Analytical, Hypoxia, Bioengineering, Pathobiology, Design & Technology, Bioanalytical Chemistry, Enhancer Mechanisms, Curriculum Development, Bionan, Information Systems, water power, design, K-12 Education, History of the Book, Rhetoric and Composition Theory, and etc. Current research emphasizes seismology and ground-penetrating radar. In seismology, projects include development of software for numerical simulation of scalar, acoustic, elastic, viscoelastic, and poroelastic isotropic and anisotropic responses, and the corresponding inversion, imaging and migration processes. Applications include reservoir and aquifer characterization, AVO, cross-well and VSP, earthquake source studies, 3-D, multicomponent and wide-aperture analyses. In ground penetrating radar, projects include development of software for numerical simulation of dielectric and moderately conducting materials in 2-D, 2.5-D and 3-D, and the corresponding inverse problems. Applications include 3-D characterization of reservoir analogs, sedimentological mapping, earthquake fault mapping, and engineering and environmental problems. Projects include experiment design and data acquisition, as well as processing and interpretation. 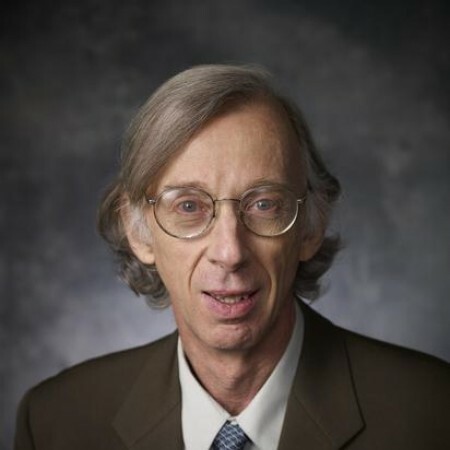 George McMechan, the Ida M. Green Professor of Geosciences at UT Dallas, has been selected to receive the Maurice Ewing Medal from the Society of Exploration Geophysicists (SEG), the highest honor given by the international organization. The award recognizes individuals who have made significant contributions to the advancement of the science and profession of exploration geophysics. McMechan will receive the award at the society’s annual meeting in November. McMechan credited his professional success and research breakthroughs in part to the innovations and efforts of his collaborators and UT Dallas geophysics graduate students, as well as to 30 years of continuing support from corporate sponsors. With more than 35 years of experience in geophysical research in academia, industry and government, McMechan has published more than 260 refereed publications. He is widely known among his peers as an expert in wave field transformations and innovations in data processing technology. Cited for his dedication to mentorship and the breadth of knowledge he imparts to his students, Professor George McMechan has been awarded a School of Natural Sciences and Mathematics Outstanding Teaching Award. McMechan, the Ida Green Professor of Geosciences and director of the Center for Lithospheric Studies, has taught at UT Dallas since 1983. He teaches graduate research workshops and a variety of courses that include reflection seismology, applied geophysics and programming for parallel computers. Upendra Kumar Tiwari, PhD, 2007. Dissertation: Viscoelastic time lapse reservoir characterization for a gas sandstone reservoir. Yogesh K. Agnihotri, MS, 2006. Thesis: Parsimonius migration of 3-C 3-D VSP data. Ibrahim Z. Basi Shogar, MS, 2006. Thesis: Evaluation of parsimonius 2D Kirschoff and reverse-time prestack depth migrations of the data from the overthrust region in the western Canadian basin. Keumsuk Lee, PhD, 2005. Dissertation: Three-dimensional facies architecture of ancient delta-front reservoir analogs using ground-penetrating radar with outcrop and core sedimentology with case studies from the Turonian Wall Creek member, Frontier Formation, Wyoming. Abuduwali Aibaidula, MS, 2005. Inversion and interpretation of a 3D seismic data set from the Ouachita Mountains, Oklahoma. Weihong Fei, PhD, 2005. Fast seismic velocity analysis using parsimonious Kirchhoff depth migration. Keumsuk Lee, PhD, 2005. Three dimensional facies architecture of ancient delta-front reservoir analogs using ground-penetrating radar with outcrop and core sedimentology with case studies from the Toronian Wall Creek member, Frontier Formation, Wyoming. Nistala, Suresh, MS, 2004. 3-D Modeling of Fracture-Induced Shear-Wave Splitting in the Southern California Basin Shaoming Lu, PhD, 2003. Seismic Characteristics of Two Deep-Water Drilling Hazards: Shallow-Water Flow Sands and Gas Hydrate. Zhang, Zijian, MS, 2003. Elastic Inversion and Interpretation of Seismic Data from Hydrate Ridge, Offshore Oregon, with Emphasis on Structural Controls of the Distribution and Concentration of Gas Hydrate and Free Gas Gislain Madiba, PhD, 2002. Seismic Amplitude Variation with Offset; Its Effects on Weighted Stacking, and Its Uses in Characterization of Sandstone and Carbonate Reservoirs. Biaolong Hua, PhD, Fall 2002. Parsimonious Kirchhoff Depth Migration Szerbiak, Robert Bruce, PhD, 2002. Characterization of Fluvial Reservoir Analogs by Modeling and Inversion of Petrophysical and Electrical Properties Adam P. Koesoemadinata, PhD, 2001. Petro-seismic Relations, amplitude Versus Angle Curves, and Petro-seismic Inversion for Sandstone Properties. Adriansyah, PhD, 2000. Seismic AVO Analysis and Interpretation: Application to Carbonate and Clastic Reservoirs in the Northwest Java Basin, Indonesia. Xu, Fan, MS, 2000. The efficiency of transmitted P-S conversion as a function of frequency, velocity and water saturation Ramos-Martinez, Jaime, PhD, 2000. Full Wavefield Seismic Modeling and Source Parameter Inversion in 3-D Viscoelastic, Anisotropic Media. Wang, Deming, MS, 2000. Finite Difference Modeling of Borehole Ground Penetrating Radar Data Andrey A. Ortega, PhD, 1998. Seismic Modeling in Fractured Media with Applications to Multi-component Multi-azimuth Data from Southwest Venezuela Zeng, Xiaoxian, PhD, 1998. Numerical Modeling of GPR Wavefields Using Ray-based, Fourier and Finite Difference Algorithms with Applications to Field Data Zhou, Hongbo, PhD, 1998. 3-D Seismic Depth Migration Jun Cai, PhD, 1997. Estimation of Electrical Properties from GPR Data by 2.5-D Modeling and Tomography. Zhang, Jie, PhD, 1997. Imaging of Salt andSub-salt Structures Using Turning Waves and Tomography Jiao, Yuren, MS, 1996. In-situ 2-D and 3-D Measurements of Directivity Patterns of Half-wave Dipole GPR Antennas Sudarmo, Bernadus S., MS, 1996. Simulation and imaging of GPR data scattered by reinforcing bars in a concrete bridge deck Qingbo Liao, PhD, 1996. Seismic Viscoacoustic Modeling and Inversion. Wu, Yafei, PhD, 1996. Waveform inversion and modeling of seismic data from earthquake sources, hydraulic fracturing, and reflection surveys Xu. Tong, PhD, 1996. Relaxation mechanisms for 3-D seismic and 2.5-D GPR data with applications to full-wavefield simulation and inversion Chang, Hungyu, MS, 1995. Numerical simulation of parameter seismic scattering. Ozdenvar, Turgut, PhD, 1995. Implementation and applications of pseudo-spectral solutions of seismic wave equations. Rajasekaran, Saraswathi, PhD, 1995. Wave-equation based pre-stack processing for 2-D seismic data. 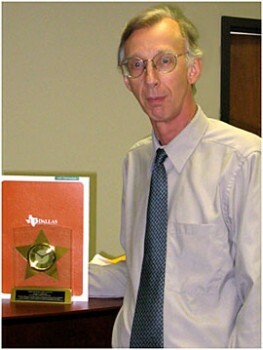 Stephen M. Kelly, PhD, Spring 1995. Advanced analysis for estimation of seismic statics and anisotropy.Wu, Yanping, MS, 1995. Inversion of seismic multiples. Yoon, Kwi-Hyon, PhD, 1995. 3-D finite-difference simulation of elastic wave propagation in borehole, refraction, earthquake and whole Earth applications. Zhengxin Dong, PhD, 1994. Seismic modeling and migration for 3-D anisotropic media. Ik-Bum Kang, PhD, 1994. Simulation and estimation of viscoelastic and scattering effects of seismic data. 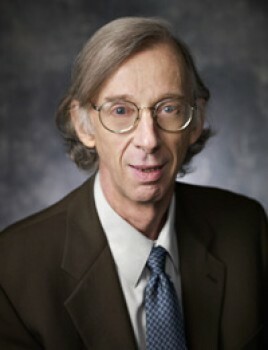 Steve T. Hildebrand, PhD, 1993. Full-wavefield inversion for 1-D acoustic and elastic media. How-Wei Chen, PhD, 1992. Full-wavefield modeling and prestack depth migration of common-source seismic data. Ata, Elias Z, MS, 1991. Estimation of near-surface elastic parameters using multi-component data. Elizabeth A. Fisher, PhD, 1991. Application of seismic processing techniques to ice and ground penetrating radar data. Matthew A. Brzostowski, PhD, 1991. 3-D Tomography. Harris, Christopher E., MS, 1990. Reverse time migration with downward continuation for two dimensional post stack seismic data. Kang, Ik-Bum, MS, 1990. Two dimensional elastic pseudo-spectral modeling of wide-aperture seismic array data with application to the Wichita Uplift-Anadarko Basin region of southwestern Oklahoma. Morales, Jorge A., MS, 1990. Elastic imaging of earthquake sources. Zhu, Xianhuai, PhD, 1990. Tomographic inversion and poroelastic modeling for reservoir characterization Richard G. Anderson, PhD, 1989. Methods for reducing noise on reflection seismograms. Gaiser, James Eric Gaiser, PhD, 1989. Transverse isotropic velocity estimates from slowness and displacement measurements. Ruben D. Martinez, PhD, 1989. Modeling and linear inversion of t - p seismic data for one dimensional viscoelastic media. Sun, Robert J., PhD, 1988. Numerical simulation and imaging of seismic wavefields. Chern, How-Hueir, MS, 1987. 3-D modeling of transmitted seismic energy with geometrical synthetic seismograms. Liang-Zie Hu, PhD, 1987. Imaging and processing borehole seismic data. Yoon, Kwi-Hyon, MS, 1987. Synthetic seismogram modeling of fine oceanic crustal structure near Guadalupe Island, Mexico. Chang, Wen-Fong, MS, 1985. Reverse time migration of offset VSP data using the excitation time imaging condition. Liao, Ching-Yi, MS, 1985. 2-D surface to surface tomographic velocity inversion based on a polynominal parameterization using wave slowness data. Wen, Jing, MS, 1984. Two approaches to analysis of seismic data from structurally complicated regions.